If you are visiting the island of Malta there is so much to see and do. By renting a car you will be able to maximize your experience to the full. We provide basic information to help you understand the basics of car hire Malta. The topics selected are very easy to read and simple to follow from where you can proceed to book your car. To facilitate your car hire experience is successful we have organized an index from where you can choose any topic about car hire Malta. For further reading on driving in Malta on other pages on this site where you find links. - How many people you will be and number of luggage and their size? - How many will be driving the car? - If you need a baby seat, roof rack, satellite navigation. - Snow chains are not required for Malta’s weather conditions. All extras are booked from the booking website we have provided and should be booked in advance as there is no guarantee that you will find what you require and ask for on arrival. Most of the cars driven in Malta are manual gear (Stick shift) cars, if you are accustomed to automatic be sure you have ordered and checked that one is available beforehand. Locally there are not many steep hills but still you will need a good strong car for the number of passengers you will be carrying. The car you are renting is to take you where your heart desires. Malta is small and if you encounter any difficulties you are never far from any inhabited areas or a petrol service station. The size of the car and style depends on what you intend to do. - Excess, the deductible amount of money that you are liable to give the car rental company if the car is stolen or damaged. This is sealed from your credit card until the company unfreezes the amount. Malta and Gozo is not so complicated to go round, there are narrow roads but if you intend going through these then it is better to hire a smaller car. But if you are a family with children and with substantial luggage you will need a bigger car. We have dedicated an article for this purpose and if you wish to have a look click on this link. On the page you will find a link back to this page to continue reading your preferred sections. - Most people arrive and come through Malta International Airport where here you collect your car. - The offices will be open at the Arrivals Lounge where you find the car rental offices where you make your collection of the keys and leave from the airport with your rented car. - It is best that from home you would have gone through all the details that you booked to your requirements as to your surprise you might end up spending more money. - To collect your car either you are shown where to collect it or directed where it is parked. - There is a specific location at the airport car park where you will find the car indicated with large numbers marked beside the car for quick reference. - It will take you around five minutes walk from the arrivals lounge. - The drop-off point is at the car park from where you collected the car. There is also a deposit box at the airport Arrivals Lounge beside the offices where you can leave the key inside it. At the arrivals or it is even called the Welcomers’ Hall you find the rental car offices all beside each other. Here you can either book or collect your pre-booked car. The following companies have their cars parked at the airport but do not have an office at the arrivals lounge. The following are the conditions that are automatically included ‘as free’ with your rental car daily charge. On the website they are called as free. They are always the same for any car you will be renting for Malta and Gozo. - Due to theft the driver’s liability (responsibility) will be deducted from the excess. - To cancel your reservation you have to send an email to support@discovercarhire.com. This is only possible up to 48 hours before your pick-up time. You will get a full refund for the reservation. - There is no restriction on how many kilometres or miles you can travel. In Malta you have no problem with this as the island is not that big even if you visit the sister island of Gozo it is much smaller. If you even have a limit of mileage you will not skip that amount. - You can modify your reservation until a few hours before you collect the car without being charged any other fee. - Is coverage that limits the driver’s liability to the amount of the deductible/excess in case of car damage. - An additional charge is charged by Malta International Airport for the collection and returning the car at the airport. - The local government tax that is paid yearly for the use of public roads. - The Value added tax is the local government tax charged on all transactions. - Assistance will be provided if your rental car breaks down. Each company has a different fuel policy but at the same time they are similar. When you choose your preferred car always read the details pertaining to the rental company regarding that particular car. When you collect the car the fuel tank will be full. So when you return with the car you have to hand it back with a full tank again. If the car is returned with less than full you will be charged a fee which will not be worthed as filling the tank is cheaper. Same to same means that you have to return the car with the fuel tank at the same level as it has been given to you. Do not risk to having the fuel gauge a bit lower as this might not be acceptable and you will be charged a fee. When collecting the car you will pay for the fuel presently in the tank. When returning the car try to leave the fuel tank as empty as possible as you will not get a refund for the remaining fuel. ?? When you collect the car you will pay for a half tank of fuel. When returning the car try to leave it as empty as possible as you will not be refunded for any fuel remaining in the tank. When renting a car you have the basic insurance included. For the full cover you have to select and pay extra. It is good to note that there might be instances that basic insurance might not be included. Due to this you will still be responsible for damages up to the full value of the car with the car rental company. if any accident occurs both for damages or theft. It is good to note that there can be instances where only one or two of the above are available depending on the car you wish to rent. The basic insurance is risky as since you will be spending less money on your car rental, on the other hand you will be exposed to bigger expenses if something goes wrong apart from your health and the passengers travelling with you. You have to bear in mind that you will be in a foreign country, might be driving on the opposite lanes than you are acquainted to, many things to see around you, at the same time you have to be fully concentrated on your driving. To have your mind at rest spend a bit more and have a full cover insurance. Each one of these is very well explained in the website section of “Full Coverage Explained” found just further down under the “Rental Conditions”. You can tick the box either on or off. Read all details which are simply explained. 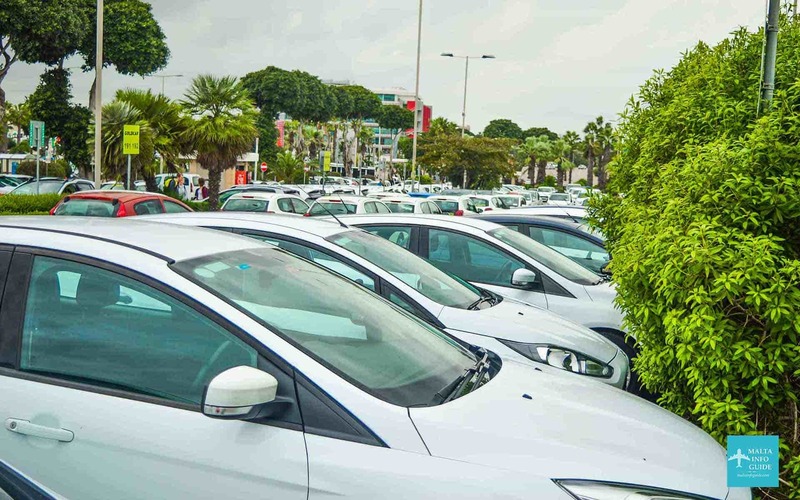 The full coverage is valid from the day the car rental starts up to the last day and time stipulated in your contract, not least until you return the car to the rental depot. If you then wish to keep the car for more days you have to extend the rental agreement. Again here you have to decide between the basic or full coverage as the full coverage is not automatic. These can be found after you choose a car type they will be under the car photo beside the rental company’s name. Click and ready the Rental Conditions. Be sure to check and read carefully the information we provide and on the website discovercarhire.com as many times as necessary until you are sure you have understand all details. Now-a-days all transactions are mainly by credit cards. In general they are the only form of payment accepted on line by car rental companies. It is the safest, quickest and secure way of paying. Payments by cheque or cash are not accepted not even when you visit them at their offices either at airports or around the island. The most important is that the credit card has to be in the driver’s name who will be driving the car. The name and surname on the credit card, your identity card and passport should be the same. Make sure that the credit card in the drivers name is valid at least up to the end of your holiday date. Depending on the car you have booked, you will have an amount of money on your credit card sealed due to damages. This amount can be seen in the rental conditions of the car. You can make your payments with VISA, Revolut Card (VISA), Master Card, Amex, Maestro or through your PayPal account. In this section we wish to bring you the related pages of our site which talk about transport on the Maltese islands. They will surely be of great help to you in order to orientate yourself about the local roads in Malta. - The various Transport systems available in Malta. - Driving in Malta and speed cameras locations. - Petrol stations details and locations. - Taxi services and contacts. Since the islands are small you will not be travelling long distances. Bad weather is not that frequent but it happens. They are expected between September to April. This does not mean that they happen every month. Flooding in certain locations is normal as there are low lying areas where a lot of rain water accumulates. Chains for car wheels are not required as in Malta it doesn’t snow. Hail is not frequent but not a rarity. You can rent a satellite navigation device through the booking car rental website or you can get your own. Also you can download an app on your mobile with this device unless you already use it at home. The Maltese map is also marked in the same way as those of other countries. Click Me to get you Car Phone Holder! We have prepared a page with driving in Malta which you will find on clicking here. As already suggested if you decide to drive locally do read this page and get familiar with the local conditions. Visit Google Map where all important areas and roads have been mapped in 3D and you will get a good idea of the roads especially if you will be arriving in the evening so you will feel confident on the roads. There might be those who do not like the idea to drive directly into traffic. Although in Malta all roads are three, two and one lane. You might not feel comfortable to drive straight away. You can always book a car for another day during your stay. In this way you will need to take a taxi or public transport. Also you can have your rental car delivered to your accommodation. There is a section where you enter your personal called 'Additional Requirements (Optional)'. In that section you include the particular details that you require. Three types of fuel are sold locally; unleaded petrol, lead replacement petrol (LRP) and diesel and Liquified Petrolium Gas known also as LPG. It is an alternative cleaner fuel. Till now only a few stations sell this fuel. Unleaded petrol (Gasoline) EN 228 - E-Unleaded for €1.36 a litre. ePower also knows as petrol super is sold at €1.51 a litre. Diesel sold at €1.23 a litre. Depending on which car you have rented you might need to take more fuel before returning the car so you have petrol stations close to the airport or even one at the airport. Try always to book your car in advance. Why? It is not a good idea to book your car as soon as you arrive at the airport. If you are inexperienced and decide to take the last minute flight to Malta you might choose to rent a car on your arrival. - Most car rental companies have various policies where they differ from one to another hiring company. 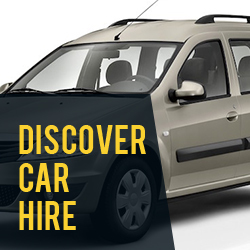 In this page we cover various details which helps you to learn more about car hire malta. - There might be a limitation of cars available at that moment. You might wish to rent a car similar to the one you have at home. - There will be various car rental offices to book from and will surely not have the time to visit some of them to see the best offered conditions. At Malta airport there are 10 offices. - It is difficult to be able to concentrate on the details of the car agreement at the airport. You might easily be with your family or kids who might not have the patience to wait. The conditions are important and at the end you might not be happy with the conditions you will be signing for. - We best suggest that you do all this from the comfort of your home where you can go through the different car hire conditions and choose the right one for your requirements. Most people prefer to book in advance. - Queuing after a flight or arriving late at night is not in your favor to take the best decisions. - If you do not book it at the airport it is no fun to look around during your holiday to find the car you need wasting precision time. - Do not decide for your car rental the last day before you fly as the availability of that particular car might not be possible and you will be disappointed. It is a great convenience to use a comparative site as we are offering you on this site.